A mob protested the reference to the Pakistani city and the management put up an Indian flag to placate them. 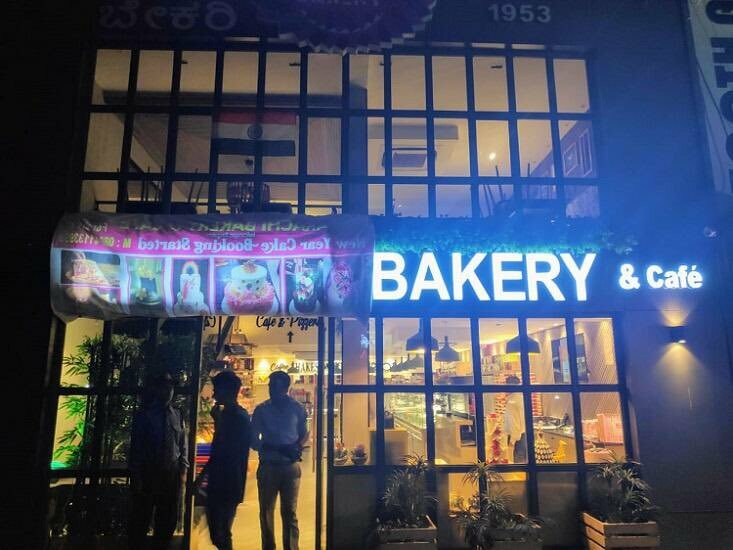 New Delhi: A Karachi Bakery outlet in Bengaluru was on Friday forced to cover up the word “Karachi” in its signboard after a mob of 20-25 people protested against the reference to the city in Pakistan, from which it takes its name. The mob assembled near the bakery’s outlet in Indiranagar, demanding that its name be changed. The development comes a week after the deadly Pulwama attack in Kashmir, where more than 40 CRPF personnel were killed in a suicide attack. A cine workers association has banned all artists from Pakistan, while the BCCI has sought to sever sporting ties with the country. The mob refused to disperse from the bakery and continued to protest from 8 pm to 8:30 pm. To placate the crowd, the establishment covered up the word “Karachi” in its signboard and put up an Indian flag. There was no property damage or violence at the site. The branch’s manager told The News Minute that men who were part of the mob claimed to “know people in the army”. “They thought we are from Pakistan. But we have been using this name for the last 53 years. The owners are Hindus; only the name is Karachi bakery. To satisfy them, we put up the Indian flag,” the manager said. The Karachi Bakery was started in Hyderabad in 1953 by Khanchand Ramnani, who migrated from Karachi during the Partition. It has since grown into a nationwide franchise. Despite the protest, the bakery continued to operate till its scheduled closing time of 11 pm. Since the Pulwama attack, there have been reports of attacks against Kashmiris in other parts of India. The Supreme Court has asked the Centre to take steps to protect Kashmiris. The Centre has asked the states to take steps to ensure the safety of Kashmiris.